Pennsbury Manor offers a variety of programs designed specifically for children. We are the only historic site in the country that relates specifically to William Penn, his contributions to Pennsylvania, and his impact on American history. All of our educational programs meet Pennsylvania history standards 8.1, 8.2, and 8.3. Our hands on approach to learning means that every student has the opportunity to be involved. Programs are offered Tuesdays – Fridays throughout the year. Our Education Program Coordinator will be glad to help you plan your Pennsbury Manor experience! Call 215 946-0400 or email c-seaconno@pa.gov for reservations and information. WILLIAM PENN’S WORLD Join us in 2018 and 2019 as we commemorate the 300th anniversary of William Penn’s death with a NEW program! 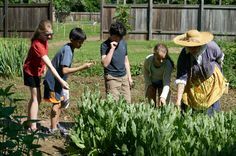 Your students will hear the stories of REAL people who lived and worked at Pennsbury Manor. 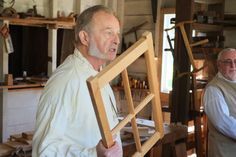 The stories will come to life through living history demonstrations and activities, including gardening, blacksmithing, open-hearth cooking, and more! Each class will visit the house at a scheduled tour time and visit the other stations at their own pace. Join us as we remember William Penn, honor his legacy, and explore his world! See available dates below. Space is limited. Pre-registration is required. Admission is $9 per student, $9 per parent chaperone, teachers and staff are free. If you enjoyed Harvest Day, Sheep Shearing Day, William Penn Day, or Pennsylvania Day in the past, then you will love this program! CALL FOR DETAILS at 215-946-0400 or EMAIL c-seaconno@pa.gov. PENNSBURY BY THE DAY The Pennsbury By the Day program offers teachers the to design a program specifically for their students. Your school is the only school on site that day. Students rotate between five locations. Two stations are standard and highlight the contributions of William Penn and Hannah Penn. Three additional locations are selected by the teacher. Among those options are 17th Century Medicine, Open-Hearth Cooking, a Visit to the Kitchen Garden, Animals at Work, and Writing with Quill Pens. The cost is $1,200 for up to 100 students. Each additional student is $12. Teachers and school staff are complimentary. Additional adults are $12 each. Pre-registration is required. PRESCHOOL PROGRAMS Our pre-school programs are designed to meet the developmental needs of young children ages four to six. Children get to experience the past through sensory activities in an historic setting. Individual programs can be tailored to meet the needs of your group, whether you want to visit the animals in the stable or see what’s growing in the garden. Registration is required. The cost is $6.00 per child. Teachers and school staff are complimentary. Additional adults are $6.00 each. HOMESCHOOL FAMILIES & GROUPS Whether visiting as part of a larger group or as an individual family, Pennsbury can help you plan your visit to meet your goals. Homeschool families and groups are welcome to join us for “William Penn’s World” on the dates above. We also schedule private homeschool group programs at $9 per person. Call us at 215-946-0400 to discuss which option is best for your group. HOMESCHOOL DAY: APRIL 11, 2019: “The Fabric of Our Lives” 12:30pm to 3:30pm. Save the date for Homeschool Day 2019! We will learn about life in colonial Pennsylvania through all-things fabric, including laundry, wool spinning, fashion, fur trading and more! Families and groups of all ages are welcome to attend. Advance registration is preferred. Admission is $9 per person, with one adult FREE per family group (Please note: this special program is not included in a Pennsbury Manor membership). Scouting Groups: Pennsbury offers badge and activity oriented for Girl Scouts, Cub Scouts, and Boy Scouts. Service and Eagle Scout projects are also available. Reservations are required.